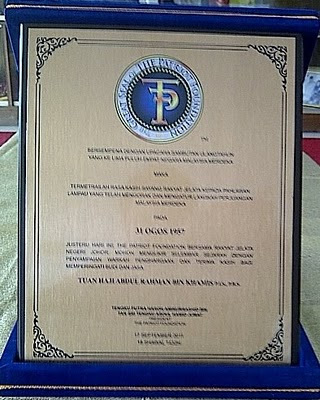 The Plaque In Recognition Of The Living Warrior's Contribution To The Nation. 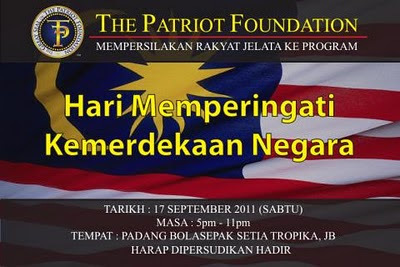 The Patriot Foundation Would Like To Invite Malaysians From All Walks Of Life To An Event Where Patriotism Comes Alive, And Everyone Is A VIP. There Will Be No Politics, No Speeches, Just Pure And Organic Patriotism With A Trip Through History. Take Pictures Of Japanese Soldiers And The British Resident General. Show Our Appreciation For A Living Hero Who Actually Saw Combat During The Insurgence And See Visuals Of The Road To Independence. E. " Road To Independence" Video Show Followed By "A Tribute To A Warrior"
F. Recitals Of A Special Doa For The Future Of The Country And Rakyat. - Singing Of The Negaraku & Jalur Gemilang Flag Raising Ceremony With Audio Effects Of Cannons Firing In It’s Original 1957 Form. This Could Be A One Time Experience! 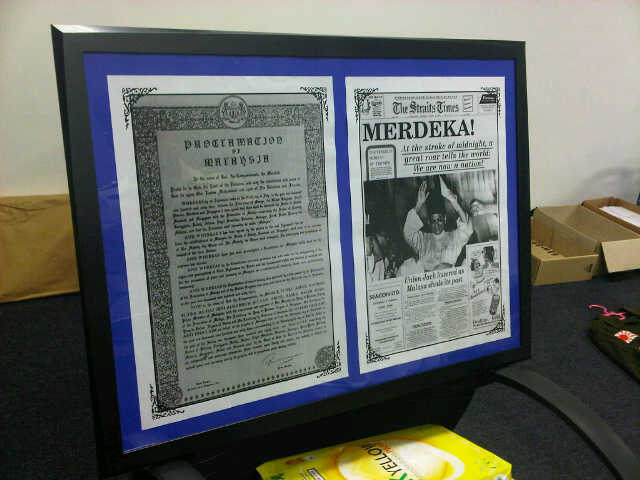 Let’s Know Our History And Love Our Country! I’ll See You There Ladies And Gentlemen! 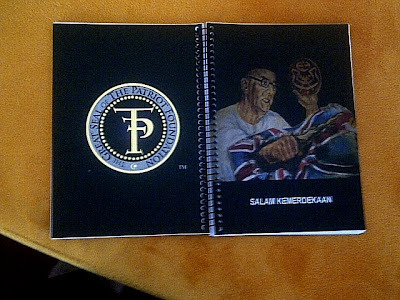 brilliant..Congratulations to you and yor foundation tengku.. Thank you very much Dan Hakeem. I hope you will continue to support our future programs in the name of God, King & Country. TPJ, what is the difference between this foundation, and other foundation/NGO? wouldn't it be a bane to the govt as well as per your previous post?. 1. 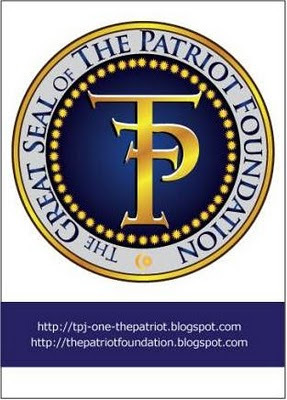 I prefer not to refer to The Patriot Foundation as a non-governmental organization because who are we trying to fool? One look at me, and people will know that I’m a staunch supporter of the government making “The Foundation” VERY Governmental. 2. This establishment is a small non-profitable think tank that, because of our support of the government, will provide the real story to and from the mass without sugar-coating nor souring it for those in power as well as the rakyat to ponder over. 3. This Foundation is an exclusive establishment that is not open for membership except by Presidential invitation upon the advice of senior advisers. 4. We do not rack up our numbers because we emphasize on quality and not quantity, which is often used to intimidate or extort the government if we become too big like some of the other organizations. 5. We will offer our views and recommendations after due diligence in a respectable manner (more “kosher” compared to this blog surely) in open channels, since we do not have connections within the corridors of power. 6. We do not petition or hold street protests, to exhibit our frustrations. As a think tank, we refuse that luxury to stay true to our principles. 7. We will hold talks and events, big and small in accordance with the law for the benefit of the Nation. 8. Though we support the Government, we are Patriots First and Foremost. The last point that I cared to share with you should be read properly and is self-explanatory. For now, I think these 8 points should satisfy your curiousity and distinguish us from the rest of the pack. In our inaugural event for Merdeka, which will be an annual engagement with the Will of Allah, we distanced ourselves from being political and held the function without the presence of Party banners nor boring speeches even by me as President or any other VVIP in attendance. We think that the nation needed a break from politics and the reckless twists by both sides of the political aisle. The Nation’s focus should be aimed at knowing our history and loving our Country. The rest Insh’Allah, should fall in place nicely. We Prayed To God For Our Salvation As A Nation, Pledged Our Allegiance To The Country And Observed The National Anthem While The Flag Was Flying Up The Mast Without Having Mind Altering Entertainment To Lure The Public With. Now Pabloami, How Can This Be A Bane For The Government When They Know That My Face Is That Of UMNO But The Foundation’s Effort Was Purely To Bring Malaysians From All Walks Of Life, Colour And Creed Together To Enjoy An Evening Of Patriotism? Thanks For Your Excellent Observation And Most Valid Question.